Carbon has been used as an adsorbent for centuries. Early uses of carbon were reported for water filtration and for sugar solution purification. Activated carbons ability to remove a large variety of compounds from contaminated waters has led to its increased use in the last thirty years. Recent changes in water discharge standards regarding toxic pollutants has placed additional emphasis on this technology. In water and wastewater treatment systems, activated carbon is almost always used as a filter medium in an independent treatment operation. In some cases, powdered activated carbon (PAC) is added to the actual wastewater stream to adsorb contaminants, then removed later from the stream and discarded. Because PAC has a faster adsorption rate, it was often used in the past, but disposal and handling concerns have made granular activated carbon (GAC) a more popular alternative for most applications. GAC is used in the filtration process in water treatment, then regenerated when it becomes less effective due to saturation with chemicals. GAC is also usually much easier to handle and transport than PAC. Widely used in thermal power plants, petrochemical refineries in the water purification, desulfurization, deodorization, adsorption of gas changes and petroleum catalytic reforming . Also used in fine desulfurization of various sulfur gases; syngas, petroleum gas, coal gas, casing-head gas and so on. Especially used in ethylene gas, food grade carbon dioxide desulfurization . 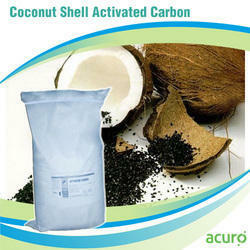 These series of activated carbon have special effect for organic sulfur removal, it could be removed to below 1 ppm. 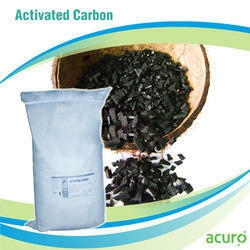 The activated carbon can be regenerated ,easy to operate . One-time cost and operating cost are very low. Such activated carbon has long working life and good using effection. It can also be used in the fine desulfurization which in the sulfur content of 250ppm in the gas. Using airspeed at 300-500 hr/1 . Regeneration period, it is determined by the sulfur content from the entrance of the size . It may be from several weeks to several months. Uses: Widely used in living, industrial water treatment, environmental protection, vapor phase adsorption, solvent recovery, especially suitable in electric plants, petrifaction, refinery, food, beverage, sugar, wine, electronic industry, drinking water, pisciculture, marine, industrial waster water, living waster water treatment etc. Effectively adsorbing dissociative chloride, hydroxybenzene, sulfur, oil, colloid, pesticide hangover, other organic pollutant, oil precursors of thm from water. Also applied for industrial tail gas purification, decarbolization, denitration, petroleum catalyse, gas separation, psa, air drying, food keeping fresh, gas mask, removing dioxin, accelerant carrier, home decoration, car tail gas purification, nuclear electric power radioactivity pollute gas adsorption, distinct purification, filtering, recovery, refining function on industrial organic solvent such as benzene, toluene, formaldehyde, gasoline, diesel oil. The Activated Carbon Pelletized comes to be a largely active virgin pelleted carbon output engineered for utility in the gas phase of applications. Our output comes to be an extruded coal-based product that finds activity at a high temperature in a versatile steam atmosphere. We also have with us certain 4 mm pellet that curtails the pressure drop. We have with us a large selection of raw inputs and manufacturing process that results in high mechanical strength. 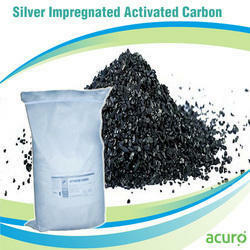 The Activated Carbon Silver Impregnated comes largely utilized in a variety of bacteriological treatment of water. Our procedures date back to the time of the Romans. Silver comes known to curtail the generation of bacteria inside the filter media bed. We make utility of a high-end proprietary operation that allows the silver to find a uniform impregnation. Ours is an excellent process for diffusion just as well. 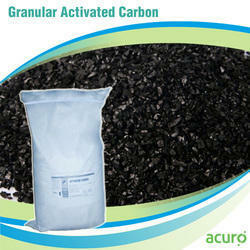 The Activated Carbon Granular comes utilized for delivering upon our promise of industrial and scientific contribution. Our GAC variants come used for the purification of drinking water. We also offer variants for swimming pool and soft drink plant. Our engineers have worked on various systems and variants so as to deliver upon the promise of perfection in terms of chlorine removal, besides color removal and a complete absorption of dissolved organic matter. 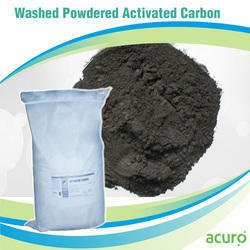 We supply activated Powder carbons that are offered by us by 'acid wash' process through steam activation. its Derived from either hard wood charcoal or pine wood charcoal, this is used in the activation process where the super heated steam reacts with wood charcoal and opens up fresh spaces in an already porous charcoal. 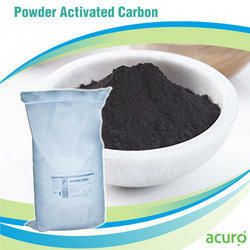 Carbon powder is available in different capacities as well as at the most economical prices. 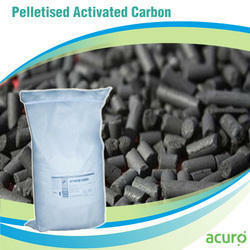 Coal based activated carbon pellets is used in purifying water and air; adsorbing (collecting, recovering. separating and refining of poisonous substances, adsorbing and filtering radioactivity substances and microorganism ) desulfating, recovering of solvent and steam ; catalyst and catalyst carriers. 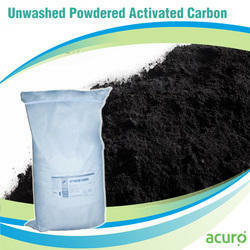 ACURO ORGANICS LTD has to its name many outputs of the powder activated carbon of the unwashed grades. Additionally, we have been making use of various powdered outputs of highly activated carbon that comes utilized in a liquid phase application meant for the elimination of unneeded color, smell and other such factors. We sell at highly reasonable prices and call upon customization. Quite often, powdered carbon is washed with acid and then, repeatedly with water & dried to minimize impurities like soluble ash-iron, heavy metals etc. 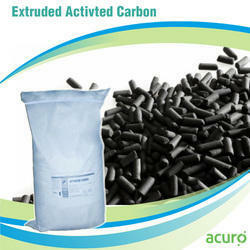 Looking for ACTIVATED CARBON ?